So happy it’s finally the weekend, aren’t you?! Crazy how time is flying by and it’s already almost November. Although, I’m very excited for Halloween since it is one of my favorite holidays. Anyways I wanted to let you all know about a cute little restaurant here in the Tampa Bay Area. Recently, I had dinner at a local restaurant, Boca Bay Grille. They are located in Gulfport, FL and pretty close to where I grew up. The restaurant is quaint and has a cute atmosphere with a back porch area as well. 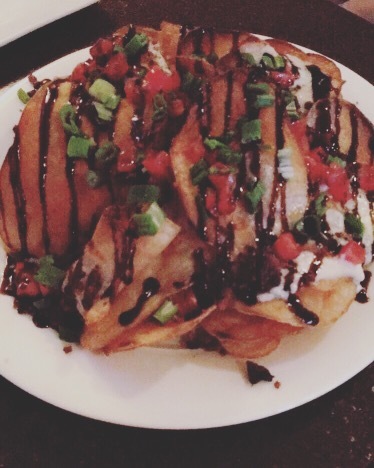 For an appetizer, we started with chips that included blue cheese, tomatoes, balsamic, bacon and deliciousness. 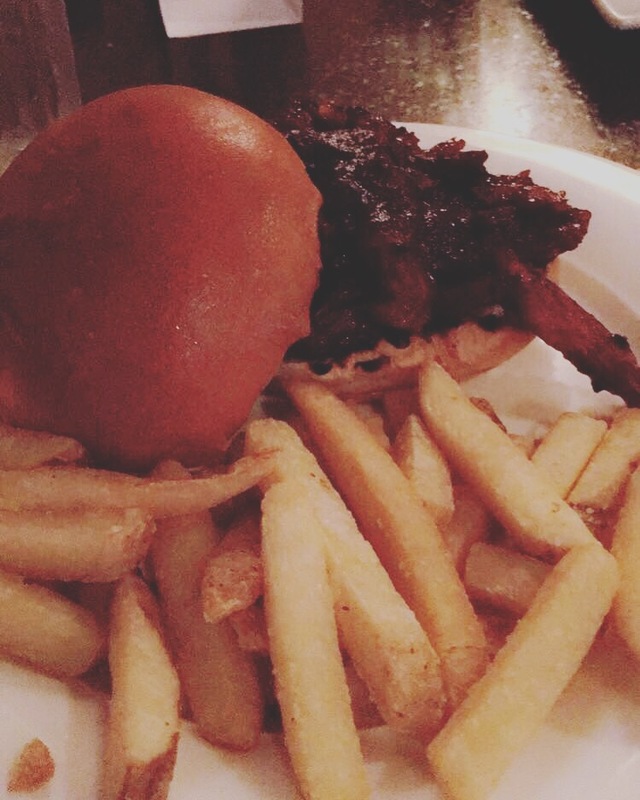 Dinner, I had gotten Asian BBQ pork sandwich with fries. I love BBQ and pork so it was definitely good. Perfect amount of sweet and savory. I even had leftovers for my lunch the next day. Still tasted just as great the first time I had it. There’s a few things I would go back and try as well when I get the chance. Of course that includes dessert because I always have a sweet tooth! Have you tried a local restaurant and really enjoyed it? Let me know and maybe I can pop by and check it out myself. Have a wonderful weekend! !